LuggageToShip is a shipping company that offers both international and US domestic shipping services. We have partnered with both DHL and FedEx, which are two of the most renowned shipping companies in the globe today. We offer door-to-door services and can pick-up and deliver your luggage, golf clubs, skis, bicycles, packages all throughout the world. We also provide luggage and package storage services suitable for the aspiring travelling enthusiast, students, business, and clients who wish to relocate and are constantly on the move. With our flexible shipping and storage services, our goal is to provide customers the best travelling and moving experience. Shipping your luggage can save you time, energy, and money. Schlepping your luggage around the airport could be very inconvenient and time consuming. You may spend a lot of time on luggage check-ins and claims. Airline procedures are prone to be burdensome and may charge more money for your oversized luggage. The airlines are also prone to improper handling of your shipment which could damage your luggage, or you can even lose your belongings. To avoid any unpleasant experiences during your trip, ship your luggage, and have your luggage wait for you at the destination even before your arrival. How can I benefit from your services? - Convenient pick-up and drop-off shipping networks all around the world. - Free luggage storage for 6 months. Learn more about LuggageToShip and our Service Features. Which carrier will you use for my shipment? LuggageToShip has partnered with DHL and FedEx for both US domestic and international shipping. When you book with LuggageToShip you will be using our partners vast and resourceful world class shipping networks. We can pick up your luggage from your door at a scheduled time, or you can drop-off your luggage at over 50,000 locations worldwide. You can enjoy the world-renowned DHL and FedEx shipping services at discounted rates. Learn more about our logistic partners. LuggageToShip is dedicated to providing the best shipping services to our customers as we develop more convenient shipping services with our ever-growing list of carrier partners that can meet and exceed all our customers’ shipping needs both international and domestic (within US). - estimated delivery date (we suggest one day before you arrive the destination at the latest). - estimated package type and quantity. Please plan the shipment trip ahead and ship your bags earlier through our economy services. This will help you exponentially in both savings and avoiding delays. Check price to find out your available shipping options now! We accept bookings online. Although we provide same-day booking services, we strongly advise customers to book at least one week ahead for US domestic shipment, or two weeks ahead for international shipment. Booking ahead of time can be of great benefit as you can assess all the shipping services that are most suitable for you as well as the best price. 3) Fill in the shipping and payment information, and submit the order. An order confirmation email will be sent to your email account. We will process your order and charge your credit card the same day or the next business day after reviewing your order. If your shipping date is within 10 days from the booking date, we will email you the shipping document once we process the order. If your shipping date is 10 days or a later time from the booking order date, we will email you the shipping document on the first business day within the 10-days timeframe. Please be advised that we are not able to create shipping labels in the carrier’s system 10 days (or more) before the shipping day. If you are in the United States and submit your order 2 to 3 business days before the shipping date, we will try to mail you shipping labels and labeling supplies using FedEx standard 2- or 3-days service. A notification email will be sent to you once we ship out the label envelope. This service may not be available for those orders with Basic service. Overnight and international label delivery services are available for urgent shipments, additional fee will apply. Along with shipping documents, we will email you detailed packing, locking, and labeling instructions. 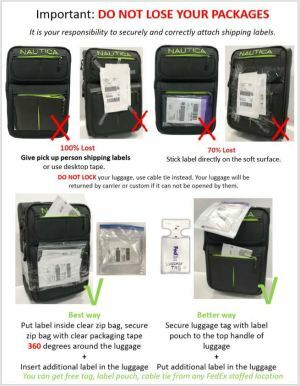 Please follow all instructions correctly, and securely pack and label your luggage/bag/box. Please lock your luggage/bag for domestic shipment. For international shipments, please DO NOT lock your luggage/bag with a TSA lock or related, use cable ties to secure your bag instead. Make sure to have everything ready before the scheduled pick-up timeframe begins or before you drop-off at a nearby carrier location. Please contact us at 1-800-678-6167 if you have any questions about your shipping documents, service features, and on how to pack your items and label your luggage/boxes correctly. We provide flexible shipping options for your package(s). If you request a pickup for your shipment, we will send you a pickup confirmation number as well as pickup instructions by email two business days before the shipping date. We can pick up at your home, office, hotel and other locations all around the world. We advise all our customers to consider dropping-off as it can save you the cost of pickup fees as well as time. You may drop-off your package at over 50,000 carrier locations all around the world. Use LuggageToShip drop-off locator to find a shipping center location near you and our drop-off instructions as a general guide to drop-off. We will track and monitor your shipment from the time of the pickup until the time of delivery, LuggageToShip.com cares about its customers, so your shipment is always monitored and tracked throughout the entire shipping process. Our customer service team and shipping experts will actively communicate with you until the shipment is delivered. Customers can track their shipment on our trace and tracking page, you can also track your package via the carrier’s tracking page. A delivery notification will be sent to you by email on the delivery date. We will deliver your luggage or boxes directly to your door at the delivery address. If you are not able to accept your package on the delivery date, you may request a delivery without signature or to deliver to a carrier location for shipment hold service. Usually carrier can hold your shipment at a nearby location for a maximum of 5 days for free. If you want to hold the shipment for more than 5 days, please reach out to us for our free warehouse services. What information do I need to know before checking the price? Check the luggage size and weight carefully and select the correct luggage type for a more accurate quotation and price. You can find detailed size and weight instructional pictures by moving your mouse cursor on each type of item(s) in our pricing page. Or visit our Shipping Weight and Size page for more information. For special shipping requirements, please call us at 1-800-678-6167 for a quotation. - Quoting the shipping fee correctly. 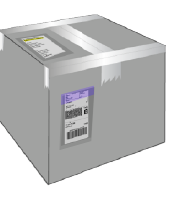 - Create shipping labels with a more accurate weight and size. - Provide the carrier the size and weight information needed for a successful pickup. LuggageToShip offers competitive shipping rates and can ship various sizes of luggage, golf bags, bikes, skis and boxes. Please visit our Shipping Weight and Size page to find the correct size of your pieces. Please call us at 1-800-678-6167 for a special size shipment quotation. How do you quote the shipping fee? We provide up to 100USD free insurance coverage for each package. The price listed in our check price page does not include the pick-up fee and insurance fees. If you would like to add pick-up services or additional insurance, you will see these fees options when you place the order. LuggageToShip set up size limitation for eachLuggageToShip set up size limitation for each type of luggage/box/bag to make sure the dimensional weight of your item will not exceed the actual weight. Please visit our Shipping Weight and Size page to select the correct size of your piece(s). How do I measure my bag? Dimensions should be measured from the widest point of each side. For example, the length of your luggage is from the top point of the top handle to the point of the luggage wheel at the bottom. You can find detailed size and weight instructions and pictures by moving your mouse on each type of item(s) in our quotation page. You may also go to our Shipping Weight and Size page for a detailed instruction. What if I'm not sure of the weight and dimensions of my luggage? You can check the price of your luggage by estimating weight and size and save your order in our system first. After your items are ready, you can update the luggage type and quantity, and then submit the order. You can update the luggage/box/bag type and quantity in your account before we process the order, our system will update the shipping fee accordingly. Can I ship my luggage to a cruise? Or can you pick up my luggage from a cruise? Unfortunately, we cannot deliver to or pick up from a cruise. However, we can deliver your package to the nearest courier location, and then you can pick it up from there. Or you can drop-off your luggage to a nearby carrier’s location from the cruise. What kind of payment methods do you accept for my order? Customer can pay by credit or debit card such as Visa, MasterCard, American Express and Discover. Currently, we accept payment in US currency only. When will you charge me for my order? LuggageToShip will not charge your card until we review and process the order. Your order usually will be processed within 1 business day after you submit the order. If you submit your order during business-off hours, your order will be processed the following business day. - There are not enough funds on your card. - The credit card is not open to international transactions (non-US credit cards only). - The credit card issued bank has placed high levels of security measures on your card. Because the issued bank usually will not provide us detailed information as to why your credit card was declined, please contact your bank to resolve this issue. How can I use my account credits for my order? Your account credits will be applied to your new order automatically when you place the order. If the order is cancelled, the applied credits will be back to your account. How can I finish the credit card verification process? 1) Check with your bank for the amount charged. 2) Login to your LuggageToShip account. If the amount you replied matches the amount we charged, your credit card will be verified and approved for use in our system. If the amount does not match, you will be asked to provide a new credit card for your order. What is final billing? Why is there weight difference on my order? After your shipment is picked up, the carrier will measure the actual size and weight of each luggage/bag/box. Once the shipment is delivered, the carrier company will bill the shipping fee at the actual chargeable weight which is the greater of the total actual weight versus total dimensional weight. The formula to calculate the dimensional weight (pound) of your luggage is: length (inch) * width (inch) * height (inch) / 139. If the final chargeable weight of your bag exceeds the maximum weight of the luggage, box, ski or golf bag type you selected, we must charge you for the shipping fee of the weight difference. To avoid weight difference fees, visit our Shipping Weight and Size page to find the correct size of your item(s). You can also use a measuring tape to measure each of your pieces before booking the order for a more accurate pricing of your shipment. We provide shipping services for all types of luggage, bags, boxes, and well protected sports equipment. You may ship your personal effects, sports equipment, books for vacation or school, conference and meeting materials for business trip. LuggageToShip provides flexible shipping options, ease of mind, and shipping solutions for your vacation, business trip, relocation, or school. Drugs, including all illegal narcotics, all drugs prohibited by any jurisdiction through which your package will or may travel, as well as prescription drugs; medical samples. Other illegal or restricted goods defined by any shipping partner, or any local, state, federal, international law and regulation. Please be advised this is just a general prohibited item list. Please consult your destination customs website for a detailed list. Check the Terms and Conditions for the full prohibited item list. Which items are not covered by our insurance policy? - Cosmetics damage of the luggage, including but not limited to cosmetics wear or tears, scratches on your luggage, broken or missing wheels, straps, pockets, pull handles, hanger hooks or other items attached to baggage. - Fragile items including any breakable or temperature sensitive items. - Glassware including, but not limited to signs, mirrors, ceramics, porcelains, china, crystal, glass, framed glass, and any other commodity with similarly fragile qualities. - Electronics including, but not limited to laptops, cameras, personal computers, stereo equipment, personal audio devices, cell phones, TV. - Antiques, collector’s items, precious metals and gems, works of art, precious jewelry. - Any of the prohibited items listed in our terms and conditions. - Any items damaged because of improper packing. - Acts of Nature or God. - Consequence of War or Terrorism. How do I select and pack suitcase? Secure the pull handle with tape. Protect and pack all fragile items safely inside the luggage with bubble wrapping or box fillings. Do not overpack, or you risk shipping oversize or overweight (i.e. pack over the weight limitation). How do I pack my golf clubs? Use a golf travel bag, hard case or golf box. Securely wrap all fragile parts of the golf sticks. Fill the empty space with bubble fillings. How do I pack my Skis or Snowboards? Use a soft or hard ski/snowboard travel case or bag. Wrap the ski/snowboard with bubble packaging to avoid scratching. Secure the bag with buckles and straps. Do not over pack and put additional clothes inside the Ski or Snowboard (i.e. pack over the size limitation of the ski or snowboard catalog you selected when placed order). How do I pack my bike? Use a bicycle travel case or a sturdy corrugated bicycle box. Disassemble the bike and secure each part in the bike case or box. Fill the empty space of the bike box with bubble fillings. What kind of box can I use for the shipment? Use a sturdy double-walled cardboard box. “H” tape the top and bottom of the box accordingly. Protect and secure all fragile items safely with bubble wrapping or box fillings. Do not exceed the box maximum weight capacity or the weight limitation of the box type you selected when you placed the order. Do I need to lock my luggage for the shipment? If you are shipping within the United States, please LOCK your case or bag for security purposes. You may use TSA approved locks. If you are shipping internationally, please DO NOT lock your case or bag for customs inspection. You may use cable ties to secure your case or bag. Please be advised that if carrier or customs cannot open your package, your shipment will be returned. Will you send shipping labels for my order? If you are in the United States and have placed your order 2 or 3 business days before the shipping date, we will mail you the shipping label as well as label tags, pouch, and cable ties (if applicable). The services are free of charge, but it is not guaranteed. We will always email shipping labels after your order is processed. The services may not be available for Basic services. How do I attach label on my luggage/bag/case? 1) Obtain free label pouches, luggage tags, and cable ties from any local FedEx/DHL location. You may need to show the prepaid shipping label to get free labeling supplies. 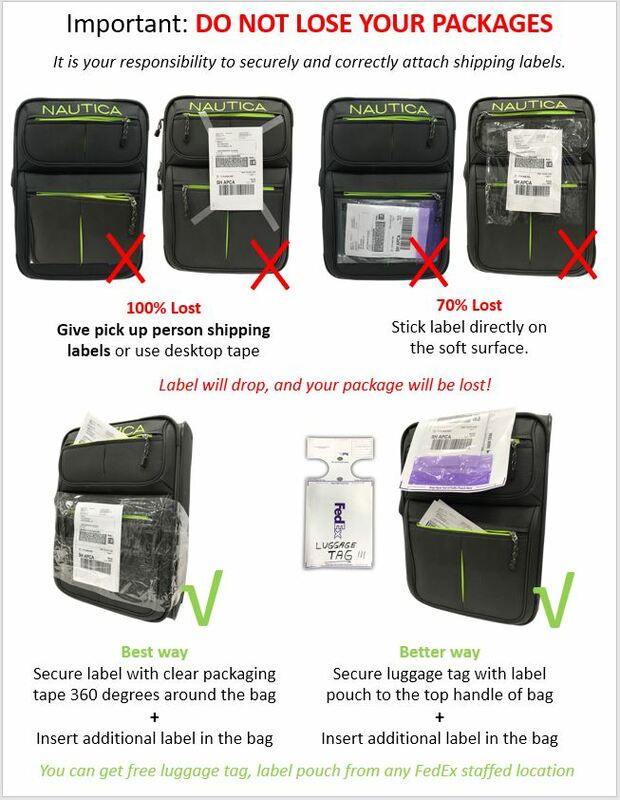 2) Follow our shipping instructions, print, and place the shipping documents inside the label pouch. The tracking barcode should face the outside once it is inserted into the shipping pouch. 3) Stick the pouch tightly to a luggage tag and secure the tag to the top handle of your luggage. 4) Put the summary paper we provided inside the luggage/bag/case. How do I attach label on my luggage if I don’t have a luggage tag and label pouch? How do I stick label on my boxes? 3) Stick the pouch tightly to your box. 4) Tape the summary paper we provided onto your box with clear tape. How do I stick label on my box if I don't have a label pouch? You only need to print out the label we sent you by email, put the label on the box, and you can use clear tape all around the box to secure the label. What should I do if I don’t have a printer to print out my label? If you are in the United States and submitted the order 2 or 3 business days before the shipping date, we can mail you the shipping labels, pouches, cable ties, and label tags. If you are outside the United States or you are shipping out your items within 2 to 3 business days, you may go to the carrier’s location to print out the shipping documents and obtain shipping materials (if applicable). You can find a nearby location at https://www.luggagetoship.com/luggage-drop-of-location. You may also request free label pouches, label tags, and cable ties from the carrier’s location as well. All shipping documents have been printed out, signed, and dated per our shipping instructions. All labels, each with a designated tracking number, has been correctly attached to its respective matching bag, luggage, or box. The summary paper we provided has been attached onto or placed inside your luggage/box. (International Shipments ONLY) All bags have NOT been locked with any locks whatsoever. Please use cable ties to secure your luggage instead. Why is the label weight different from the actual weight of my luggage? As we do not know the actual weight and size of your package, we will put the average size and weight of the item catalog you selected so the carrier knows the estimated weight and size of your shipment. Carrier will measure the weight and size couple of times after collecting your shipment, and later bill us the actual weight and size they measured. The carrier will not refuse the package if the label weight is lower than the actual weight of your shipment. Can you pick up from a hotel? Always check with the hotel reception desk/concierge office if they can hand over the package to the carrier on your behalf. Inform the reception desk/concierge office the pick-up date and timeframe. Add the room number, hotel contact person’s name, hotel phone number, and pick-up location to the remark area when you place your order. Please contact us by email at cs@luggagetoship.com or the carrier’s customer service hotline if you want to update us with any additional pick-up information. If the hotel is attaching the labels for you, please timely forward shipping labels and instructions to them. The shipment should be securely labelled before the pick-up timeframe begins. Can you pick up from an apartment building? Yes, we can pick up from an apartment building. Make sure to type in your apartment number in the second address line to inform the courier when scheduling the pickup. Please also make sure that there will be someone at the apartment number to answer the pickup driver and to hand over the luggage. Do you have same day pick-ups? For Standard services, we can arrange same day pickups if the pickup time is during our office hours and before carrier’s pickup cut-off time. If we are not able to arrange it, we will try to arrange a second day pickup. For US Basic service, we cannot arrange same day pickups. We strongly suggest you call us in advance if you have an urgent same-day shipment. Can you pick up from my school? Always check the package pickup rules and regulations of your school with a school official or representative first. Some universities are open to courier pickups on campus, but others are not. If your school does not allow campus pickups, please confirm the address, available time and schedule of your school’s mail room or school lobby. If your school dorm building has a reception desk, you may leave it with them as well, please confirm with the dorm room reception desk before your pick-up date begins. Ensure that the pickup address and timeframe match the school’s mail room, dorm building reception desk or school lobby’s address, and schedule availability when you place your order. Please drop-off your ready package to the mail room or school lobby before the pickup timeframe begins. When will you pick up my luggage? We offer a variety of options for your pickup timeframe. If your shipment is express/standard, the timeframe can be narrowed down to 4 hours at the least. If your shipment is Basic ground/home delivery the timeframe cannot be narrowed down to less than 6 to 8 hours. Please be advised FedEx cannot guarantee the pickup even if we get the pickup confirmation. FedEx may cancel or delay the pickup due to traffic, weather condition or any pickup exception. We will reschedule a pickup for you for free if FedEx cancels the scheduled pickup. Will the pickup person contact me before the pickup? No. The courier will not call or email you on the pickup date. Make sure the courier has easy access to your shipment and please have someone handover the shipment to the courier at the pickup location. Will the pickup person bring me the shipping label or attach the label for me? No. The carrier will not bring you the shipping label. They will not attach or re-attach labels for you. Please make sure all your luggage/boxes/bags are correctly and securely labelled before the pickup timeframe begins. When they pickup, do they leave any proof of pickup? No. However, the tracking number will update to "picked up" a few minutes after your package is scanned. Please make sure the pickup person scans the barcode of each package in front of you before vacating the pickup location so the tracking system updates. Otherwise, your package may be deemed as “not picked up” by the courier, and we are unable to file a claim if the shipment is lost in transit. Where can I drop-off my luggage? You may drop-off at any carrier staffed shipping center. Please click here to find the nearest drop-off location. We strongly suggest you to drop-off your shipment at a nearby FedEx staffed office so you can request the drop off receipt and other labeling supplies. Please DO NOT drop-off your shipment at a carrier drop box. LuggageToShip does not provide drop box drop-off service. Do I need to stay at home for the pickup? No. It is not necessary to stay at home for the pickup. You may leave your labelled luggage/box/bags to your doorman, family/relatives, and authorized residence personnel so they can handover your shipment to the courier. As the courier will not call you before the pickup, we strongly suggest you have someone hand over your packages to the courier. Please provide us with pickup instruction details when you place the order, such as building security code, person at the pickup address, luggage location, etc. Please contact us by email at cs@luggagetoship.com or call the carrier directly if you want to update us with additional pickup information. What if I missed a pickup? Make sure to provide a full and accurate pickup address. Follow our pickup and shipping instructions sent by email. Have everything ready before the start of your pickup window. Ensure the courier has easy access to your shipment. Timely inform the carrier or us of any changes or circumstances that may affect your pickup schedule. We are able to reschedule a pickup for you and will re-charge the pickup fee if you missed the pickup or your shipment was not ready before the pickup timeframe. Can I change the pickup date and address? If your shipment is not ready before the pickup time, you may reach out to the carrier directly. You can update the pickup date by providing the pickup confirmation number. Please be advised the shipping label can be used within 15 days from the shipping date on the label. If you would like to change the pickup address, please contact us immediately at 1-800-678-6167. Additional fee may apply if the pickup address is far away from the original address. Make sure your luggage/box is packed and labelled correctly per our shipping instructions. Everything should be ready before the pick-up timeframe begins. 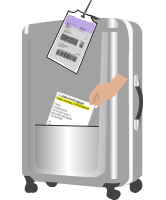 Make sure you have taken picture(s) of your labeled luggage and emailed it to us. The courier will not call or email you on the pick-up date. Please make sure the courier has easy access to your shipment, and you or someone can hand over the shipment to the courier at the pick-up location. Make sure the pickup person scans the barcode of each package. Confirm the latest pick-up time of the service (Ground or Express) with the carrier’s location if you want your shipment to go into transit the same day you drop-off. Ask for free label pouches, luggage tags, cable ties, and packaging supplies at the drop-off location (you may need to show your prepaid FedEx or DHL label to acquire these materials). Make sure your luggage/box is packed and labelled correctly per our shipping instructions. Take a picture of your labelled shipment with the shipping labels facing the outside once inserted into the shipping pouch. 󠇉Email the pictures to us so we can check each piece is safe and secure. Ask for a drop-off receipt at the drop-off location before leaving the vicinity and email us the labelled luggage picture before the drop-off (so we have evidence for insurance reimbursement, open trace or file claim with carrier for shipment exceptions.). What delivery date should I choose? We suggest having your shipment delivered one or two days before your scheduled arriving date at the destination address. Please arrange someone to accept the shipment on your behalf if you are not able to receive your shipment. LuggageToShip also offers a variety of delivery options for your convenience, please email us at cs@luggagetoship.com for available options for your shipment. Will you monitor the shipment for me? Yes, LuggageToShip will track and monitor all shipments until the delivery. Our in-house shipping experts will communicate with you and the carrier for any shipping exception. Will I get a delivery notification from you? Yes. You will receive a delivery notification from us after the shipment has been delivered. What is a remote area? We can collect from most standard addresses worldwide. However, if you are sending to or from an area outside of the daily rounds of the carrier's network, it may be designated as a "remote area" . Typically, remote areas are places such as ski resorts and rural locations, and in some cases, it may be a standard populated area which our partners do not yet service as part of their daily route. When sending to or from a remote area, an additional fee will be applied, and we will inform you before we process the order. Can I request a weekend delivery? Yes, our shipping partner FedEx provides weekend delivery services for US domestic shipments (Express 1-Day, 2-Days, and Standard 3-days service only). These services will appear in our quotation page if applied. Can I pick up my shipment from a carrier’s shipping center nearby? Yes, if you are not able to accept the shipment on the delivery date, you may request the carrier to hold your package at a nearby carrier’s shipping center or facility. Please contact us at 1-800-678-6167 or email us at cs@luggagetoship.com if you want to add shipment hold services to your order. Please be advised that most carrier locations can only hold shipment up to 5 business days. If you want an extension, we advise you to use our free storage and warehouse services. Do I need to stay at the delivery location to accept the package? No, it is not necessary for you to stay at the destination address to accept your package. Family, relatives, friends, employees, residence doorman, and other authorized people can accept the package for you. You can also request for your shipment to be delivered without signature. If you are shipping your items to a hotel, please check with the hotel if they can accept the package for you in advance. If you are shipping items to a school, please check your campus delivery or mail room rules and regulations before booking your order. Can my luggage be delivered without signature? Yes, you can request a delivery without signature when you place the order. Because we are not able to file a lost or damage claim if the carrier’s tracking shows package delivered, please make sure it is safe for the carrier to leave your items at the delivery address. You can also provide us delivery instructions of the delivery location when you place the order. Please make sure that the delivery location is safe and easily accessible. The carrier will not be able to comply with detailed instructions such as finding keys under rugs, or open garage doors for a delivery. What should I do if I missed the delivery? Usually the carrier will attempt a second delivery if you missed the first one. A delivery notification card (door-tag) will be left at the delivery address for details. Please try not to miss the second delivery. If you are not available to accept the package on the second delivery date, you may reach out to the carrier directly to reschedule a delivery time and date or request a pickup at the nearest carrier location. Please contact us at 1-800-678-6167 or email us at cs@luggagetoship.com if you need any further assistance. Why was my luggage delivered earlier? Occasionally, a shipment will be delivered earlier than the estimated delivery time because the delivery address is close to a carrier’s last mile processing center. If you are not available to accept the package on the delivery date, you may reach out to the carrier directly to reschedule a delivery time, or you can request a pickup from the nearest carrier location. Why was my luggage delivered late? LuggageToShip cooperates with world class logistics suppliers such as FedEx and DHL. Most of our shipments were delivered on or before the estimated delivery time. However, there is still a possibility for a shipment delay. LuggageToShip team will timely communicate with the carrier to expedite the delivery of the delayed shipment. 2）Unavailability or refusal of a person to accept delivery of the shipment. 3）Customs delay (if international shipment). 4）Wrong or incomplete shipping information provided by the customer. Please check our Terms and Conditions for details. Why was my multiple-piece shipment delivered (separately) on a different date? The carrier may deliver your multiple-piece shipment at a different time and date. Because the Basic service does not guarantee the delivery time, your package(s) may arrive before or after the estimated delivery date. A multiple-piece shipment does not mean all packages will be dispatched together in the same truck. LuggageToShip provides a unique tracking number for each piece of your luggage/bag/box for your US domestic shipment. You may track each package online for the estimated delivery time. Please reach out to us immediately at 1-800-678-6167 or email us at cs@luggagetoship.com, if the tracking stopped for more than one business day. Where can I find the carrier's contact number? The carrier's hotline number in "from" and "to" country will show in the order details page. Please login to your LuggageToShip account, click the order number in your dashboard, and find the contact number in the order details page. You may also call us at 1-800-678-6167 for more information. Why does the tracking page show "delivered", yet I have not received my package? There is a possibility that someone at the delivery address signed for the shipment. Please check with family, relatives, workmates, employees and the reception desk or concierge of the hotel, school, or place of residence if they accepted the package for you. If you are not able to locate the package after checking with the person at your address, or searching in another possible place for the carrier to leave your package, please contact us right away at 1-800-678-6167 or email us at cs@luggagetoship.com. We will open a trace with the carrier for further investigation. Where can I find the tracking number of my shipment? Once we create the shipping label for your order, the tracking number will show up on your account dashboard. We will also notify you the tracking number by email. What should I do if my package is on hold by the carrier? Every so often, the carrier may hold your shipment because of item inspection, missing label or document, package rerouted and many other different reasons. If your shipment is on hold, please call us at 1-800-678-6167, we will assist you to find the on-hold reason. What should I do if I’m not able to track the shipment or the tracking stopped? 1) The shipment has just been picked up, but the tracking information has not been updated by carrier - Please check back in a few hours. 2) The shipment has not been picked up yet - You can track the shipment after it is picked up. 2) There is no tracking information 6 business hours after pickup. Our shipping expert will communicate with the carrier for an updating. LuggageToShip provides flexible shipping options for your international shipment. You may select international express services with an average 3-7 business days delivery time frame, or a cost-effective option of international economy services with an average 4-10 business days delivery time frame. You can save up to 60% shipping fee from the main carrier public price but enjoy the same services. Please be advised that due to customs clearance, all international delivery time-frame is estimated time. Your shipment may be delivered earlier or later than the delivery time quoted on our website. Do I need to lock my luggage for international shipment? NO. Your luggage/bag/case must be unlocked for international shipment. 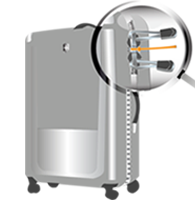 However, you can use cable ties to “lock” your bag, or you can ask for free cable ties from a FedEx/DHL staffed drop off location. The carrier and local customs authorities have the rights to open your bag and check the items inside. Your package will be returned if it cannot be opened by the carrier and customs authority. LuggageToShip is not responsible for any delays or issues caused by locked luggage. What kind of document is needed for customs clearance? A detailed packing list with item name, quantity, and value of your shipment is always required by customs department of both export and import country. If you are travelling and sending your used personal effects or sport equipment ahead, the customs of destination country may require your passport, visa copy and travel itinerary to confirm the goods are intended for personal use and have no commercial value or are not intended for other purposes. In most cases, this will allow used personal effects to enter the country without customs delay. Occasionally, the customs of destination country may ask for additional documents based on the item(s) you are sending. We recommend customers to provide all information requested by customs in order to have the shipment released and delivered as promptly as possible. Please contact us at 1-800-678-6167 or email us at cs@luggagetoship.com if you have any question. Do I need to pay for the customs tax and duty for my shipment? Any international shipment is subject to customs clearance and may be levied duties, taxes or both by the customs of destination country. LuggageToShip shipping fees DOES NOT include any customs related fees. Customer is responsible for any duties and taxes, and additional customs fee if applied (such as storage fee, brokerage fee, etc.). How can I pay the tax and duty if applied on my shipment? Many often courier will do the payment in advance to have the shipment released from customs to avoid further delays. When your shipment is dispatched, the customs fees need to be reimbursed to courier before your shipment can be delivered to you. In some cases, customs will not accept the payment from courier but directly from the consignee. Courier will contact you if any payment is due. If for any reason the courier call is missed, you will need to reach out to them directly for further instructions. What should I do if my shipment is delayed in custom? LuggageToShip team will monitor every shipment and timely communicate with the carrier and customer for any customs delay. Please contact us at 1-800-678-6167 or email us at cs@luggagetoship.com if you have any further question. Why do I need to provide an item list? Any international shipment is subject to customs clearance. A detailed item/packing list with item name, quantity, and value is required by customs department of both export and import country. To avoid customs delay, please fill in the item list and submit a full and complete item information in "order details" page. What cannot be shipped internationally? - Flammable liquids such as alcohol, nail polish, perfumes, and cigarette lighters. - Food such as fresh fruits, vegetables, meat and spices. - Plants and animal products such as leather, and fur. Can I ship toiletries, perfumes and other liquids? Most toiletries are accepted and shipped without issue by carrier. However, it may not always be the case as regulations and safety policies tend to change over time. Non-flammable, non-corrosive, non-explosive, non-odoriferous and non-hazardous liquids are acceptable to ship if sealed inside a waterproof container. Protect your packages against breakage and leakage. Paste and gels are often considered liquids. Alcohol-containing commodities such as perfumes, and pressurized containers are prohibited commodities to be shipped as these are flammable. Why do you ask for my passport copy? If you travel and send your used personal effects or sport equipment ahead, it will be a great idea to provide the customs authorities of the destination country your passport and visa copies. The customs of the destination country may require a copy of the consignee passport and visa to confirm the goods are intended for personal use and have no commercial value or are not intended for other purposes. In most cases, this will allow personal effects to enter the country without customs delay. You can upload your passport and visa copy in order details page, passport information part. If you are not comfortable providing us these documents, you may choose to omit it and provide it directly to local carrier or customs if they request it. Why do you ask for my travel itinerary? If you travel and ship your used personal effects or sport equipment, we recommend our customers to provide their travel itinerary to the customs authority. Clearing personal effects through customs is different from clearing a commercial shipment. The customs authorities will require proof that the owner of the goods intends to remain the owner. The easiest and quickest way to demonstrate that you intend to remain with the items is to show that you have travelled with them, or plan to do so in the future. You can upload and fill in your travel itinerary in order details page, travel itinerary part. If you are not comfortable providing us this information, you may choose to omit it and provide it directly to local carrier or customs if they request it. I don't have a flight itinerary as someone will send the bags to me, but I added the passport and visa. Will there be any problem? For personal shipments, customs authorities will mostly request the passport copy to be provided. In the case that a flight itinerary is requested by customs, consignee will need to contact the local carrier for instructions. In most cases, a statement letter may need to be provided explaining the import scenario. Is it safe to upload my travelling document? We use SSL with 256-bit encryption security system. Your passport copy, visa copy and travel itinerary information will be securely saved in our system and will be deleted once the order is closed. You can delete them anytime from your order information in dashboard. Occasionally, customs may ask for your EORI number. EORI stands for “Economic Operator Registration and Identification”. The EORI number is a unique identification number assigned to a company or individual, to track imports and exports across all EU countries that can be easily identified by customs. What should I do when customs ask for a commercial invoice? -	Inform us and we can forward it to carrier as well. Please do attach all the shipping documents we provided to minimize customs delay. LuggageToShip provides free $100 insurance for every package customer ship with us. If the package has a value higher than 100USD, customer is responsible for purchasing enough insurance for their package. There will be no additional compensation beyond the insurance amount for your order. Items not covered by insurance. - Any prohibited items listed in our terms and conditions. Check out terms and conditions for details. - Damaged luggage/parcels excluding cosmetics damage. What should I do if my luggage was delivered damaged/broken? - Immediately take pictures of damaged/broken package with shipping label attached. - When you sign for the shipment, please write “received damaged/broken package” next to your signature. - Take pictures of damaged/broken items inside package. - Prepare a damaged/broken/missing item list with original purchase invoice. - Contact us right away and provide related picture evidence. The claim should be submitted within 3 business days from the delivery date. LuggageToShip will fill in the claim form on behalf of the customer and file a claim with the carrier company. Customer is responsible for providing all necessary documents and evidences requested by the carrier. This process may take up to 2-6 weeks, and LuggageToShip will update customer the claim result once the carrier confirms. If the claim is approved by the carrier, a name and a mailing address is requested from customer so we can prepare the claim check. We will mail out the check within 5 business day after the mailing address is provided. If the claim is denied by the carrier, we cannot file the claim again with the same information without any new supporting documents. -	Your package has cosmetic damage. -	Your package is intact while item was broken/damaged because of improper packing. -	Your package is intact while item was missing. -	The damaged/broken item is not declared in the item list (for international shipment). -	The damaged/broken item is in our prohibited/not covered by insurance item list. Please refer to our Terms and Conditions for details. What should I do if the carrier lost my package? In certain cases, your luggage/box may be lost in transit by carrier. LuggageToShip track and monitor every shipment and start investigating once your package stops moving. Carrier will try to locate your shipment. If they are unable to locate the package, LuggageToShip will file a lost claim with carrier right away. The lost claim needs to be submitted within 3 business days from the estimated delivery date. You will need to provide the item list of what is inside the package and the value of each item, and purchase invoice or any proofs of evidence that supports the value. This process may take up to 2-6 weeks, and LuggageToShip will update customer the claim result once the carrier confirms. If the claim is approved by the carrier, a name and a mailing address is required from customer so we can prepare the claim check. We will mail out the check within 5 business day after the mailing address is provided. If you forgot your password, you may request a temporary password by clicking the “Forgot Password” link in login page. The temporary password will be sent to your email account. Please login to your LuggageToShip account using the temporary password and reset it in "My Profile”. Please always keep your login information secured and confidential. How do I change my login email? You can update your login email in your LuggageToShip account, “My Profile” section. Once the email address is updated, a notification email will be sent to your new and old email address. How do you process my order? We always try to process your order the same day you submitted it. However, due to the time difference, we may receive your order after our business hours. If so, we will process your order the following business day. Once we process the order, your credit card will be charged for the shipping fee and the shipping label will be emailed/mailed to you the same day. Should I submit a new order or complete my previous one? It is not necessary to create a new order if you have an incomplete order in your account. You just need to login your LTS account and complete the incomplete order in your dashboard. How do I edit my order? You can edit your order in your account any time before the order is processed. Once we process the order, please call us at 1-800-678-6167 or email us at cs@luggagetoship.com for any change to your order. Once your order is picked up by the carrier, we are not able to update your order anymore. If the change is absolutely necessary, we will try to discuss with the carrier but cannot guarantee the result. Additional fee will be applied for this kind of updating. You can request a cancellation in your account any time. If this is requested before the shipment is processed, no cancellation fee will apply. If it is requested after your order is processed, a 25USD cancellation fee and additional related fee may apply. The refund difference will be processed after we confirm with the carrier for the shipping label cancellation. If you received the shipping label but never requested a cancellation with us, no refund will be processed. The order will be closed 30 days after the original shipping date, so please do timely reach out to us for your cancellation request. How can I see the order details? Please login your LuggageToShip account and click the order number in your dashboard. The order details page will show up. How can I download my order invoice? You can download the order invoice from the Order History page once the order is closed. How can I find my order history? You can see the order history by clicking the Order History in the top menu of your account. Why do you need to verify my credit card? For security reason, our accounting may request credit card verification before processing the order. A notification email will be sent to you. Please follow the email instruction and complete the verification as soon as possible so we can further process your order. You will benefit from a quick order processing if you placed order with a verified credit card. We may charge your credit card an amount between $0.2 to $10 for verification. The amount will be refunded to your credit card within 48 hours. A notification email will be sent to you with the charge time and our company name. Please check with your bank for the verification amount we charged. Please login your LuggageToShip account and submit the amount in My profile, credit card section. Shall you have further questions regarding credit card verification, please send email to cs@luggagetoship.com or chat with us online. What is final billing? Why is there weight difference for my order? If the final chargeable weight of your bag exceeds the maximum weight of the type you selected, we must charge the shipping fee of the weight difference. To avoid the weight difference, please visit our Shipping Weight and Size to find the correct size of your item(s). What if the final billing weight is not correct? There is very low possibility for the carrier company to bill the wrong weight for your shipment. If this happens, please provide us pictures of luggage/bag/box length and girth with ruler, so we can further check and dispute with the carrier. Please call us at 1-800-678-6167 or email us at cs@luggagetoship.com if you have any further question on the final billing. What can and cannot be stored? - Seasonal items not to be used in short term such as summer items; winter items not to be used in winter and summer, etc. - Sports equipment such as golf clubs, snowboard, bicycle, surfboard, fishing gear, etc. - Items unable to be carried during the trip such as additional luggage, gifts, meeting/business materials, etc. - Relocating or moving items that need to be stored for short term and delivered later. - Package over 72 inches in length, over 100lbs in weight. - Damaged, broken, and/or leaking box, luggage, and/or bag. How can I check shipping price to or from your warehouse? Our warehouse is located in New Castle, DE. Please enter the US postal code 19720 when you check the shipping price from or to your location. How can I place storage and shipment order? Our warehouse address is saved in your address book. You can select it when you place the shipping order. Our warehouse assistant will also reach out to you by phone or email for detailed instruction before the shipment. If you would like to ship out the stored items, please select our warehouse as the shipper’s address. Because our warehouse has daily carrier pickup, please select “drop-off” when you place the shipping order. How much will you charge after 6 months free storage? We provide free storage services for each package for up to 6 months. After 6 months, we will charge 10USD/package/month for additional storage time. * Luggage To Ship keep the rights to update the FAQ content anytime. Please keep checking FAQ for an updating. © Copyright 2019 LuggageToShip All Right Reserved. Luggage To Ship worldwide shipping services offers ‘true price’ rates and guaranteed door-to-door luggage delivery. Luggage To Ship can pick-up from a residence, business, and resort hotel. Experience the art of luxury travel and bask in the delights of rest and relaxation with Luggage To Ship.